Just as in my previous post with the Sega Mega Drive model 1 being a near mint condition retro console, I was able to pick up a near-new Sega Mega Drive model 2 today! The Sega Mega Drive model 2 (MK-1631-50) was released by Sega in PAL regions (including Australia) in 1993 shortly after Nintendo released the Super Nintendo in the region. The Sega Mega Drive 2 differs from its bigger brother the model 1 in a number of ways. 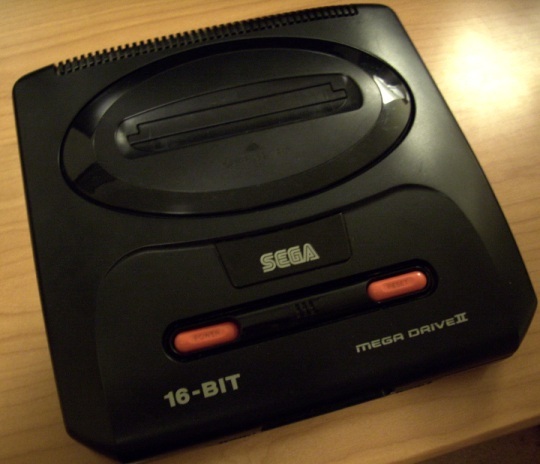 Most notably the physical size of the console is much smaller and compact with a new ‘square’ shape and the absence of a stereo headphone jack meant you can only play your mega drive games in mono sound loosing much of the sound quality from games that much such great use of the model 1 sound abilities. As such the model 2 is usually had for a much cheaper price than the slightly rarer model 1 with many more of them produced and less demand for the unit. Any collectors out there can find a mega drive 2 in decent condition for around $30-50 AUD. Just as the model 1, the entire Sega Mega Drive library of games can be played on the model 2. Being able to add this console to my collection is a great thing, the mega drive was a great console (still is) and shows Sega’s progression in the gaming industry nicely. Just need to find myself a Sega Saturn which will be the next step!